Kodi has gradually become one of the most popular streaming services in the world. Although many would be surprised to learn that the intention behind the creation of Kodi wasn’t to see it become a popular streaming service. If you want to watch live television online on Kodi, than this guide has been written exclusively for you. Not only will it help you setup live TV on Kodi, but it will also inform you of the best Kodi add-ons that you can use to watch live television on Kodi. Goodfellas 2.0 is an improvement over its previous iteration which was equally popular. Since the new iteration has come out, the add-on has grown in popularity within Kodi communities. It features the best features and functions to meet your live TV viewing needs. 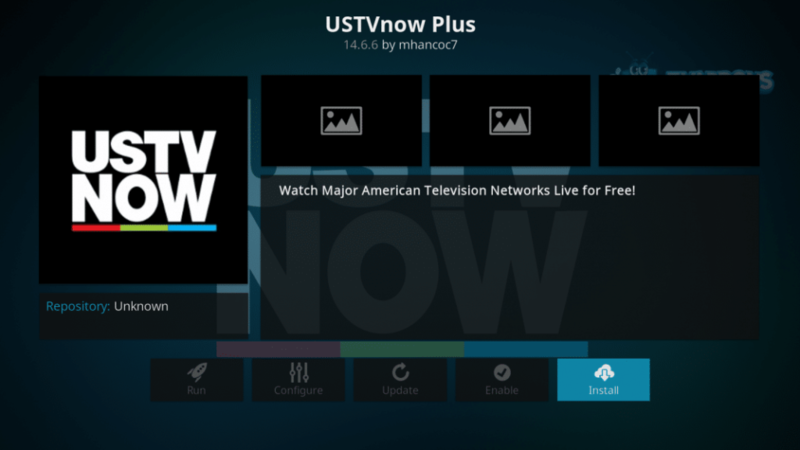 USTVNow Plus is another popular Kodi TV add-on. With this add-on, you can stream your favorite American TV shows, movies, and sporting events live on Kodi. However, it requires a subscription fee of $19 per month from their official website. For this fee, it’ll offer you 28 channels, including CBS, ESPN, History, Fox News, NB, and much more. You can also get access to about six US channels for free. iPlayer is another live TV add-on for Kodi which facilitates British television viewers. It offers British television programs, movies, news and sporting events on BBC iPlayer without any hassles. You only need to have an iPlayer subscription to access the channel any time you want to. And if you live outside the UK, you’ll also need to have a VPN connection to bypass geo-restrictions and access the channel with ease. Stream Engine offers TV programs, movies, and sports with clean and clear categorization. A number of channels are available on Stream Engine, including Discovery, FX, Fox Movies, MTV, Cartoon Network, CBC, ESPN HD, Sky Sports, Fox Sports, NBA TV, and many more. It offers great collections of TV series’ as well. UKTV Now is another brilliant live TV add-on for Kodi. 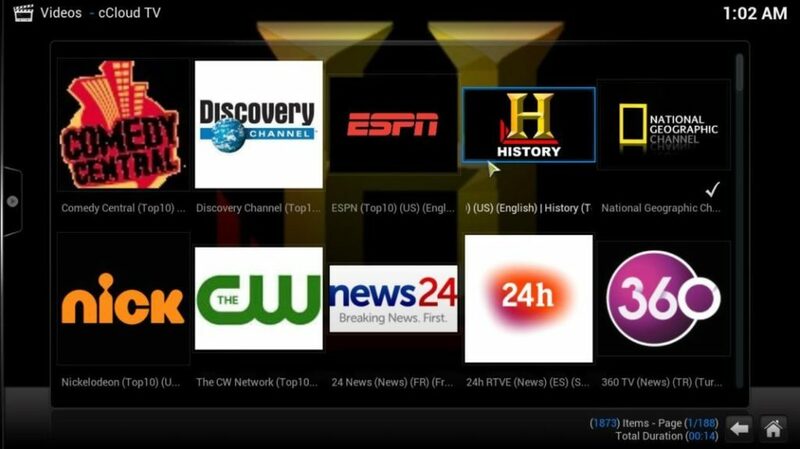 It offers users with the luxury to choose from a wide array of the US and UK TV channels. Users can access TV shows, movies and sporting events of their choice via this add-on. UK Turks Playlists can be downloaded from the Metal Kettle Repository. The biggest advantage of using this add-on is that it’s completely free and open source. It also offers a wide array of TV channels for streaming purpose from all over the world. cCloud TV gives you access to dozens of TV channels for all age groups. It streams channels for different communities, which means that you can access multi-lingual channels and stream programs of other countries as well. Rising Tides is another formidable option for extraordinary live TV options. It covers everything from movies to sports entertainment channels. The UI is well organized and each stream buffers in no time. It’s not very popular, but it is slowly garnering attention within the Kodi community. Vdubt25 offers many country-based channels such as the UK Live TV and Ireland Live TV among others. Vdubt also offers separate categories of sports, news, TV shows, movies, music etc. It also offers a kids’ category to its viewers. Other than that, it also offers programs in premium HD quality, making it all the more worthwhile to install it on your Kodi. Veetle is an IPTV add-on for Kodi devices which allows users to access flash-enabled live streams. With this add-on, you can stream videos, movies, or programs on any specific topic. Animated movies and documentaries are also available on Veetle add-on. Veetle’s catalog can be sorted with respect to categories and schedules. This add-on is available in Fusion Installer. USTVNOW is the best addon if you want to watch US tv channels which includes ABC, FOX, CBS & NBC. To setup the Addon follow the guide below. Most of the aforementioned addons either geo restricted or don’t simply work without US/UK servers. If you resides in these region then it’s completely otherwise you need a KODI VPN to access them . Because Add-ons depends on websites which stream the desired content, they face issues when these websites go down or cut off third-parties from accessing their streams. This is why channels can sometime go down on a add-on. In these cases, it is recommended to install and use more than one add-on.